This group of webinar are ideally suited to those new to the field of cancer, or who have found themselves in a new role and need more background in this subject area. Particularly useful for MDT coordinators, Cancer Data collectors, Clinical coders, Clinical trials staff and cancer nurses new to oncology – but that doesn’t rule out anyone who feels they need a little extra help in understanding cancer as a disease. Researchers, GPs, Pharmaceutical companies, scientific writers and many others have all accessed this group of webinars to further their cancer knowledge. In this webinar, you will learn about important aspects of cell biology and cell replication fundamental to understanding how cancer develops. You will learn how cells group together to form different tissues, found in different places within the body. As the webinar develops you will begin to grasp important differences between epithelial and connective tissues, and generate an understanding for the names we give tumours. Oncogenes and tumour suppressor genes will be introduced and their role within neoplasm formation. Throughout the webinar, you will be introduced to much terminology – in-situ, invasive, carcinoma, differentiation, grade, differentiation. Everything will be explained, leaving you better equipped in your important roles…be prepared for many light bulb moments in this webinar! Metastasis defines cancer! In this webinar, you will learn why. 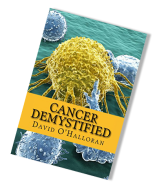 You will begin to understand the characteristics that cancer cells derive which allow them to spread and the webinar will move onto explaining how cancer gets to different parts of the body. Direct, lymphatic, blood and transcoelomic (across a cavity) spread, will all be explained, leaving you will an all-round grasp of metastasis and its role in tumour progression. Staging and grading are two of the biggest drivers in deciding what treatment our cancer patient may receive. Join us on this webinar and you will learn how staging and grading influence patient management and prognosis. You will become familiar with the similarities and differences between stage and grade, and gain a good grasp of terms such as, ‘well’ and ‘poorly differentiation’ with respect to tumours. You will gain an appreciation of the fundamental principles of both staging and grading before going onto to cover more detailed aspects. Lots of really useful information in this webinar allowing you to understand more and partake more confidently in discussion with other professionals and patients alike.